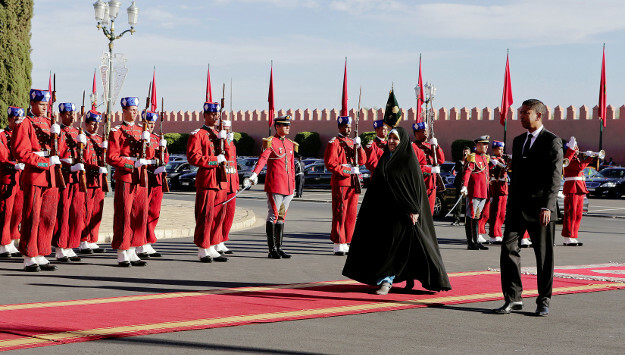 Relations between Morocco and Iran continue to deteriorate over Rabat’s allegations that Tehran is meddling in the internal affairs of the North African country. On Thursday, Tehran denied fresh accusations by Moroccan Foreign Minister Nasser Bourita that Iran and Hezbollah foment instability in the Arab world across the broader region. "I think it is clear that the interference of Iran in the internal affairs of the Arab and Islamic countries won't stop in Middle East and in the (Persian) Gulf countries,” Bourita said in an interview with Fox News. Bourita's remarks drew an angry reaction from Tehran. “The persistence by Moroccan officials to repeat their false allegations to sever diplomatic ties with Iran… is only aimed at appeasing third parties,” Bahram Qassemi, the ministry’s spokesman said. “Repeating and insisting on such allegations is a vain attempt that would ultimately harm Islamic countries," he added. Comment: On May 1, The Moroccan government announced that it would cut diplomatic ties with Iran over Tehran’s support to Western Sahara’s separatist movement the Polisario Front. Bourita said Rabat would expel the Iranian ambassador and close down Tehran’s embassy. According to Bourita, Iran and its Lebanese ally Hezbollah provide weapons and training to the Polisario Front. Bourita made the announcement after returning from Tehran, where he reportedly informed his Iranian counterpart Javad Zarif about Morocco’s decision to cut ties with the Islamic Republic. The top Moroccan diplomat told reporters that Iran used its embassy in Algiers to send arms shipments to Polisario. “Hezbollah sent military officials to Polisario and provided the front with ... weapons and trained them on urban warfare,” Bourita added. The Moroccan government considers Western Sahara an integral part of its territory. After Spain left the region, the Polisario movement fought against the Moroccan government for the independence of Western Sahara until the United Nations brokered a ceasefire and created a buffer zone between the two sides in 1991. It is not the first time that the Moroccan government accused Iran of meddling in its internal affairs and undermining its security. Rabat had in the past alleged that Tehran supported Polisario and also sought to disturb sectarian harmony in the North African country. According to reports in some Arab outlets, Iran pushes a “Shiite agenda” in Morocco by recruiting thousands of young Moroccans in cities such as Hasima, which last year witnessed anti-government protests. In 2009, Rabat severed diplomatic ties with Tehran accusing Iranian ambassador of seeking to promote Shiite Islam in the country. The decision was also aimed at voicing solidarity with Iran's Sunni Gulf rivals after an Iranian official questioned the sovereignty of Bahrain. Unlike Iran’s Sunni-majority neighbors with sizable Shiite minorities – such as Pakistan, Afghanistan, Saudi Arabia, and United Arab Emirates – about 99 percent of Morocco’s population are Sunni Muslims and there is only a very small community of Shiite converts in the country. But Sunni Moroccan leaders say Iran’s efforts to convert Moroccan Muslims into Shiism will inflame sectarian strife in the country. Iran and Morocco began to improve their relations in 2014 and reestablished diplomatic relations in January last year.